The world remembers Elie Wiesel—Nobel laureate, activist, and author of more than forty books, including Oprah’s Book Club selection Night—as a great humanist. He passed away in July 2016. Ariel Burger first met Elie Wiesel at age fifteen. They studied and taught together. Witness chronicles the intimate conversations between these two men over decades, as Burger sought counsel on matters of intellect, spirituality, and faith, while navigating his own personal journey from boyhood to manhood, from student and assistant to rabbi and, in time, teacher. In this profoundly hopeful, thought-provoking, and inspiring book, Burger takes us into Elie Wiesel’s classroom, where the art of listening and storytelling conspire to keep memory alive. As Wiesel’s teaching assistant, Burger gives us a front-row seat witnessing these remarkable exchanges in and out of the classroom. The act of listening, of sharing these stories, makes of us, the readers, witnesses. 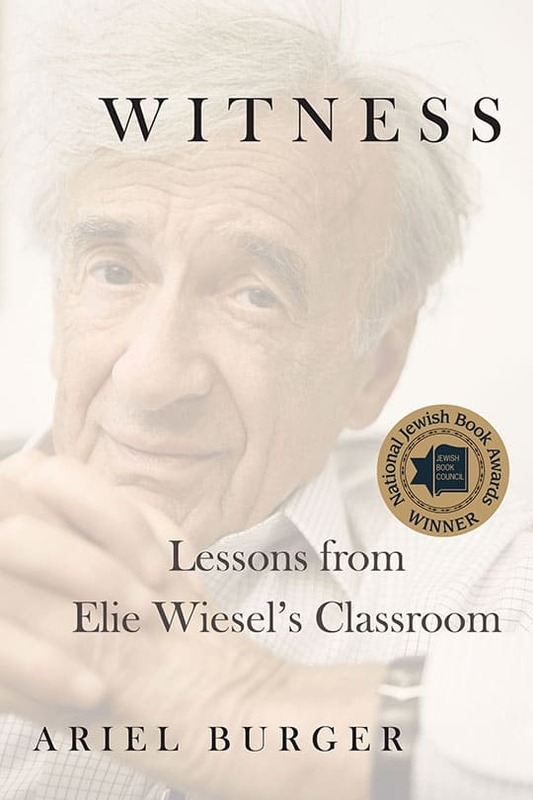 How did the idea for Witness: Lessons from Elie Wiesel’s Classroom come about? 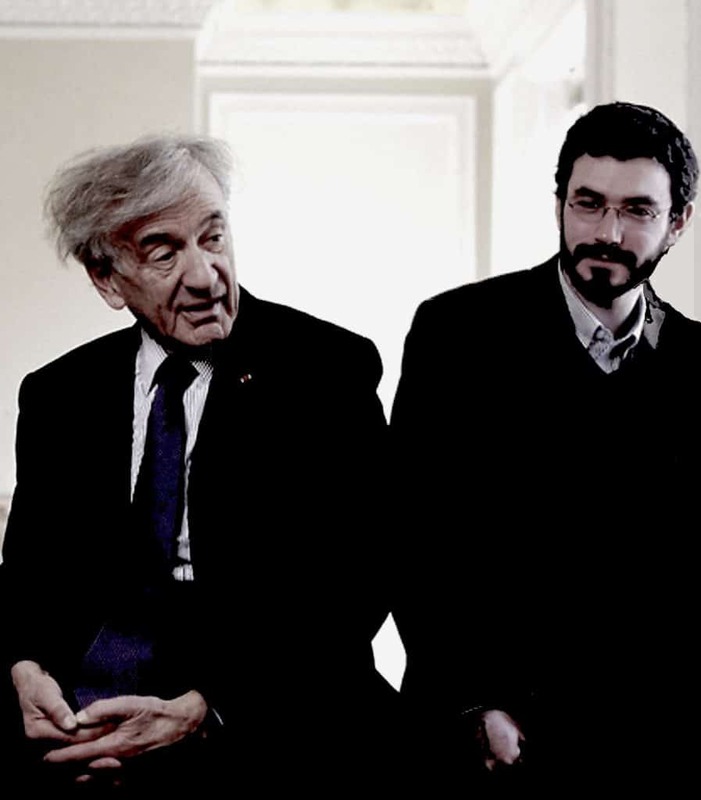 In 2008, soon after I had ended my term as Professor Wiesel’s TA, there was a conference in honor of his 80th birthday, at which I gave a talk about his approach to teaching and learning. It was astonishing to me that so much had been written about this great man, yet so little had been written about his role as a teacher, even though he always said that teaching was the most important public role he played. I wanted to address that lack, and to make it possible for many more people – especially younger people who wouldn’t get to see him lecture or sit in his class – to learn from him. Professor Wiesel was very supportive of the idea, and we spent time discussing what I might include. EW passed away while you were writing the book; how did that affect the writing? Well, writing the book was already an emotional process. I felt so grateful for him, for my time with him, and for his message, that I came to my writing sessions with a lot of enthusiasm. When he died, I couldn’t look at the manuscript for a month. After that, I felt driven. I realized that now there would be no more lectures, no more classes, no more meetings. Not only for me, but for anyone. And I knew I had a story to tell, that I had an obligation, as all students do, to share what I learned from my teacher. The themes of the book span many areas: religion, activism, art. Did you plan them before you started writing? Some of the chapters’ themes were clear to me from the beginning: I knew for example that there would be a chapter on faith and doubt, and one on song. Others emerged as I wrote. The chapter on activism in particular was in part a response to the new American moment of 2016 and on, the erosion of civil discourse, the rise of a resistance, moral excesses on the far right and far left. I was always going to write something about Professor Wiesel’s activism, but the current moment necessitated an entire chapter. All of this evolved through six or seven versions of the projected table of contents. The version I shared with Professor Wiesel in 2009 or ’10 is different, but still recognizable. What do you hope people take away from reading it? I want the reader to feel the experience of being in class with Professor Wiesel, to hear his voice and imagine his face. I want the reader to know that he was a person of great wholeness and emotional range, that he was at times indignant about human suffering and the arrogance that causes it, that he could be pensive or funny. That his life went on after Night, and the corpse-like face he saw in the mirror at the end of that book was not the end of the story. these categories. For example, one of the central themes of the book is that faith and doubt can coexist. I want us all to feel that we can make a difference in a large and imposing world, that our inner resources are greater than we are led to believe. 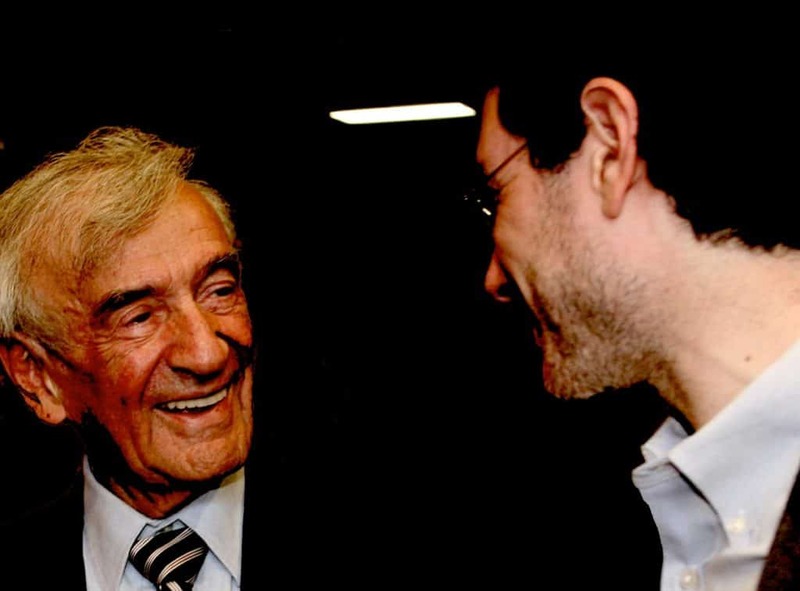 I want the reader to hear Elie Wiesel’s message that it is our humanity that holds hope for our world. I want us to challenge our addiction to answers, to become comfortable with questions, with mystery. I want us to become addicted instead to learning, and to learning in community. At the center of the book is Elie Wiesel’s teaching that “listening to a witness makes you a witness”. That is one reason for the title, and it has a specific and universal meaning. Specifically, this is the response to the difficult question of what will happen when the last Holocaust survivor is gone: who will tell the story? Although no one who was not there can truly imagine the experience, we can absorb, integrate, and act as witnesses to their stories. In this way, as long as there are children and students willing to listen with sincerity and attentiveness, the reality of the Holocaust will never be lost. More generally, we all come from somewhere, families, communities, stories of migration, religious or cultural traditions. We have the opportunity and responsibility to bear witness to the stories we’ve inherited. And I believe that it is by sharing our stories, rather than arguing about policy, that we can find our common humanity. Elie Wiesel was a witness to the unimaginable events of the Holocaust, to the lost world of pre-war Jewish life. But he was also a witness to the great potential of every human being to make a difference. He believed so deeply in education because he knew that it is possible for a person to change, to become sensitized to other peoples’ suffering, and to learn how to act to interrupt that suffering where possible. And when it is not possible to stop it, we can at least bear witness to it, so that those who suffer are not alone. He was a witness to history; I wrote the book in order to bear witness to his power as a teacher. My hope is that, through the book, the reader will become a witness to Elie Wiesel – and to their own teachers, their own traditions, their own stories. Ariel Burger talks about Witness in which he relates the lessons he learned while being a teaching assistant to Elie Wiesel. 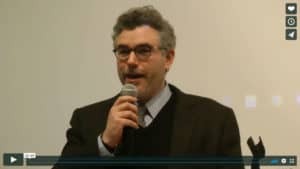 This talk was held at the Levin JCC, Durham, NC on March 24, 2019.